Extra Small, compact, elegant focusing, robust with double helical focusing mechanism. Now including a very quiet active cooling system enabling the use of much higher wattage LED light sources. 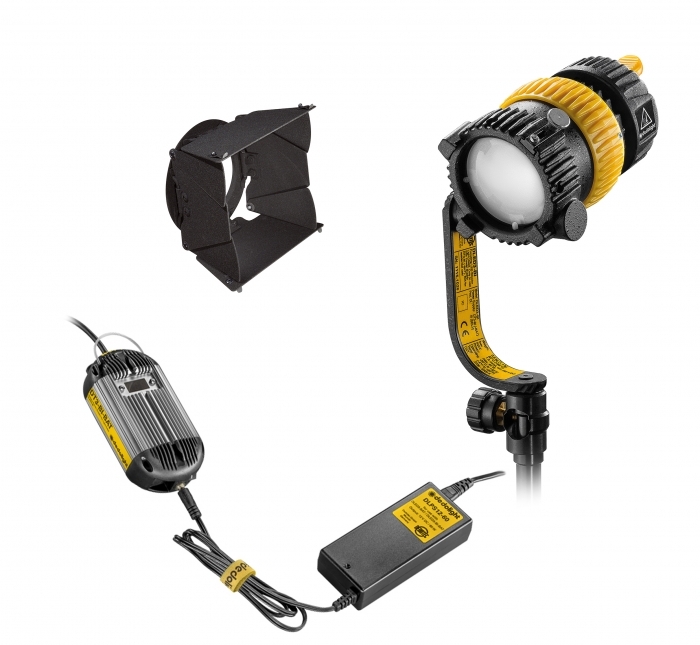 Provides drastically enhanced light output. The bicolor versions are continuously adjustable from 2700K all the way to 6500K. Power: Max. Power Consumption 40W. Even for bi-color version, alternating between two 40W light sources.